Motherboard on Monday confirmed with the carrier that the alerts are authentic, and that the threat is real. 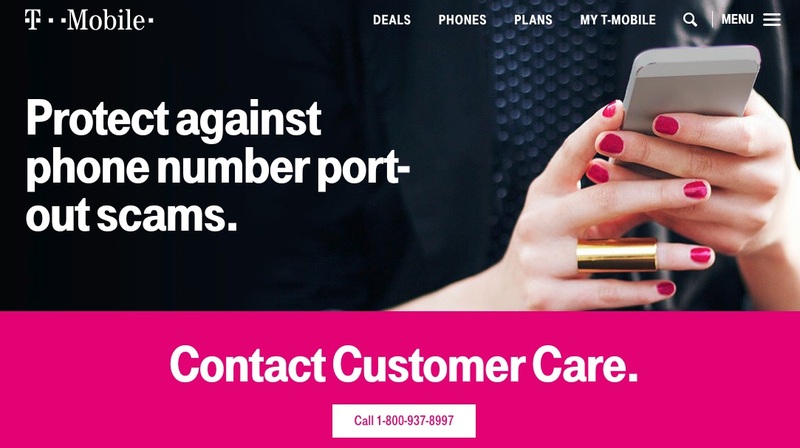 T-Mobile is also warning customers with an alert on their website, as well as the T-Mobile app. Scam artists are reportedly calling people posing as mobile carriers and then impersonating their victims in order to either port the user’s number to a different carrier or to obtain a new SIM card for the victim’s phone number. The new SIM card can be used to access personal accounts that are linked to the number. The crooks can use the phone number to request a victim’s bank to send them a password reset link via text. 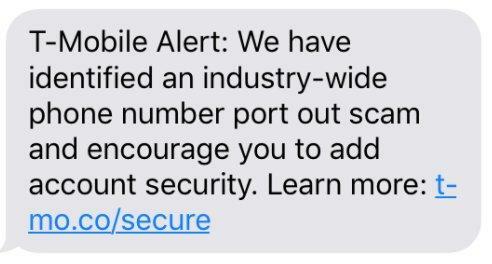 The T-Mobile alert directs customers to a page on the carrier’s site which contains information about the scam. The page also encourages them to call customer support to add port validation, which requires them to create a 6-to-15-number passcode, that passcode will be required if someone attempts to port a number on the user’s account.